William Waldegrave was born in England on 9 July 1753, the son of the 3rd Earl Waldegrave. He entered the Royal Navy in 1766 and was promoted lieutenant in 1772. 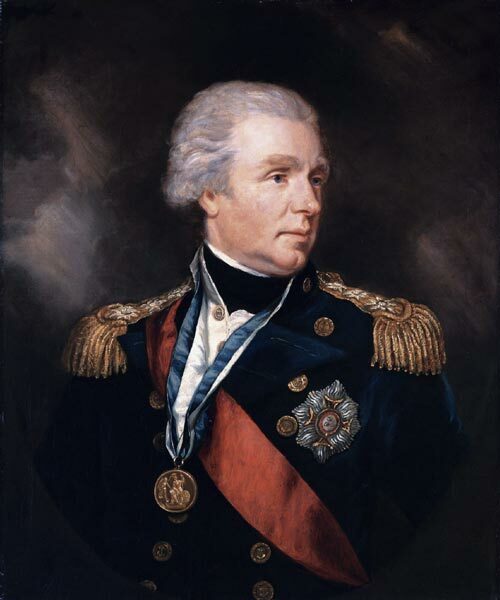 He had command in 1775, was promoted rear-admiral in 1794 and rose to vice-admiral in 1795. Due to his part in the victorious battle off Cape St. Vincent in February 1797, Waldegrave was offered a baronetcy. However, he declined because he thought the title was beneath him as the son of an earl. On the 16th of May, he was appointed governor and commander-in-chief of Newfoundland, and the nearby islands of St. Pierre and Miquelon. Waldegrave was primarily concerned with defending the island from the French, as seen in his correspondence. As well, shortly after he arrived, a mutiny on HMS Latona had to be suppressed. He was critical of the merchants, whom he thought acted as despots, holding sole access to food, drink and clothing. Waldegrave recommended to London that the magistrates be paid salaries from rum taxes to free them from mercantile influence. Unfortunately, this was not accepted. A conscientious governor, Waldegrave established a "Committee for the Relief of the Poor" that serviced almost 300 people in the winter of 1797-8. He contributed 20 pounds a year to the fund and obtained donations from soldiers and affluent members of society. He regulated the price of bread, and had a cargo of copper coinage delivered to the Island to prevent shopkeepers from offering rum instead of change. In 1798 it was decided that a year-round chief justice should reside in St. John's. Regular courts-martial were also established. Waldegrave left Newfoundland in 1800 and the same year was created an Irish peer as the 1st Baron Radstock. He became an admiral in 1802. In 1815 he became a Knight Grand Cross of the Bath. He died in England in 1825.